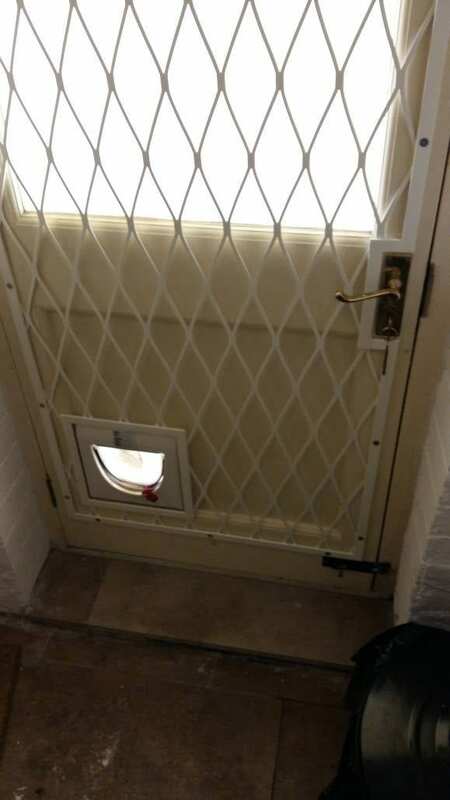 This is a photo of a bespoke door grille we recently installed for a customer. 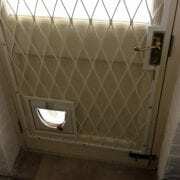 It is a large diamond mesh design and includes a cut out for an existing cat flap in this back door. The grille is protecting both the glass panel and the vulnerable lower plywood panel. The grille is finished in white powder coating so no maintenance is required. Fixing can be face fix (as this example) or reveal fixed, hinged and even removable. contact us with your grille requirements or for more information on our bespoke grilles.